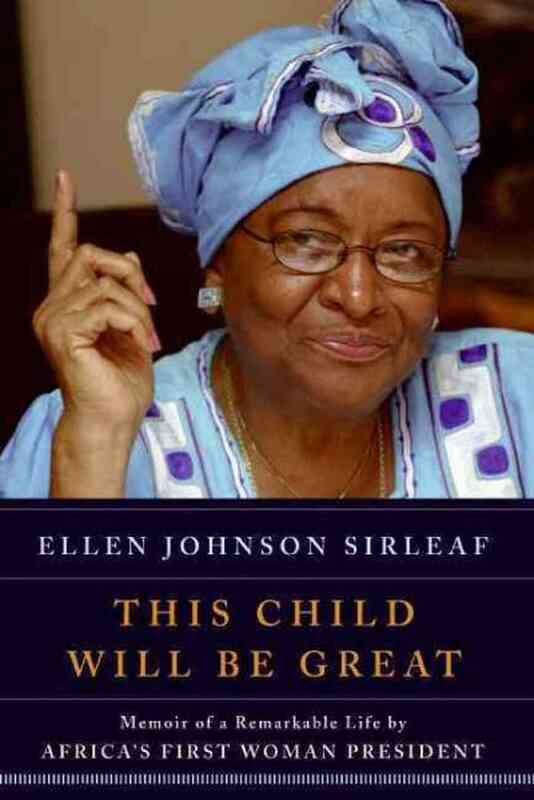 I rarely read autobiographies and I’ve heard of just a few autobiographies by presidents, but my interest was piqued when I came across This Child Will Be Great by Liberian president Ellen Johnson Sirleaf, Africa’s first female president. This book is the memoir of a remarkable life. Sirleaf tells the story of her rise to power; the struggles she encountered, the sacrifices she made and also chronicles Liberia’s history. She explains the origin of the alienation between the Americo-Liberians (or the settlers) and the indigenous people that set stage for the disasters that befell the country. Sirleaf explains that even though on her birth, an old man had prophesied she would be great, her life seemed to have been set up to be anything but great. It always seemed to be one disaster after another. If she wasn’t struggling to get out of an abusive marriage, she was leaving her four sons behind to pursue an education in America, trying to get out of jail after being incarcerated by her president or living in exile. Through it all though, she refused to give up, encouraging people around her–especially women– to never settle for less. Sirleaf does not at all mince her words, telling near embarrassing personal stories that I imagined she would other wise not have shared. In retrospect, I see this was her method of drawing the reader’s attention to her struggles and their role in her eventual successes. This also explains why she often got into trouble with the government of Liberia. She was never one to see injustice and keep quiet. Once, while she worked at the Treasury Department, she was invited to speak at a conference on Liberia’s economic future and a part of her speech went something like this: “Liberia will never move forward unless the government stops stealing the country’s resources.” I imagined a young divorced African woman making these audacious remarks and I knew then that Ellen Johnson Sirleaf truly is a force to be reckoned with. In summary, I found the book to be very well written, a thought provoking and all together a great motivational book. Ellen Johnson Sirleaf’s story is truly inspiring. Somto Ibe was born in the ancient city of Ibadan, Nigeria, and lives in Canada. She’s studying to be a chemical engineer and likes a good read of any sort but preferrably historical fiction.